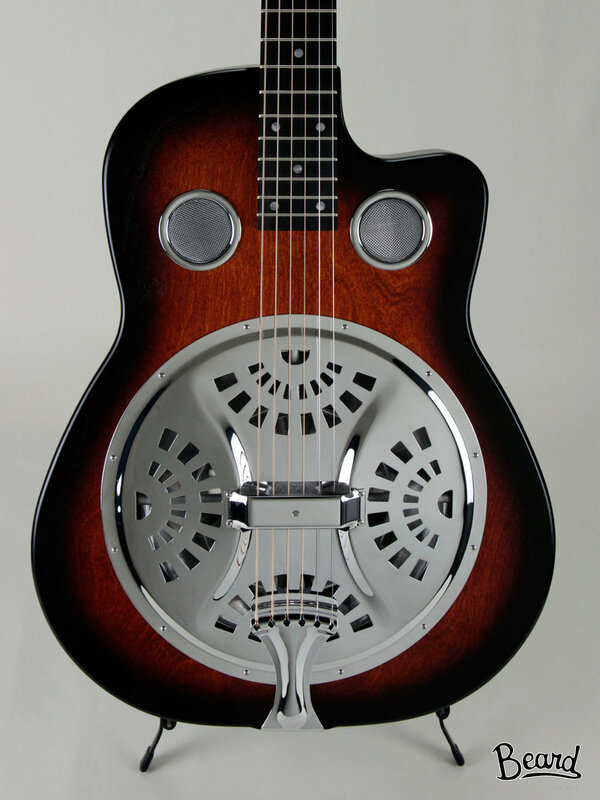 Beard Guitars' Copper Mountain line takes yet another innovative approach to resonator construction. The composite back design increases volume and projection and produces a rich, even tone that you must hear to believe! Built right here in Hagerstown, MD, these guitars feature Paul Beard's triple-spun Legend Cone™ and Original #14™ Spider, Bass reflex baffle and a solid Maple neck. All this at an extremely attractive price! Copper Mountain models are available in both square and roundneck configurations and in a variety of original finishes. Why wait get yours today! "Soaring tone for down to earth players."